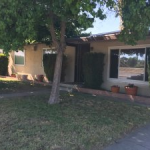 There is more way to sell your house in Fresno. A direct home sale will save you time and money as compared to a traditional listing with an agent. Learn more about how easy the process can be in our latest post! With a direct sale to I Buy Houses Fresno, you will avoid all of the costs you might incur with an agent. You will not have to worry about paying expensive agent commisions or miscellaneous fees. Some agents will charge administrative fees, so make sure you know exactly what your agent costs will be if you decide to sign a listing agreement. Not all homebuyers will pay the closing costs, however, at I Buy Houses Fresno, we pay them in their entirety. You will not have to pay for title insurance, transfer fees, deed recording fees, notarization fees or anything else that would come with a standard closing. We want to make the selling process simple for you so that you can move on with your life. You will immediately be free of the monthly bills, property tax obligation, homeowners insurance, general maintenance costs and more. Owning a house can be expensive, especially if it is an older, run-down property. When you sell to I Buy Houses Fresno, we are able to close in days, not months. This alone can potentially save you thousands!